Discover campsites of Pays de la Loire France but also over 450 campsites throughout France, offering a variety of rental mobile homes, chalets and accommodation of more atypical as bungalows or caravans, but also leisure facilities such as aquatic areas with sometimes an indoor or well even with heated pool for your comfort, for an unforgettable vacation. 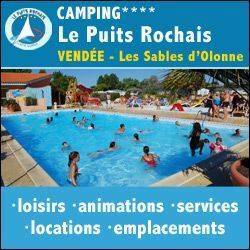 Campsites in Pays de la Loire welcome you to your camping holiday 2, 3, 4 and 5 star or LRP. 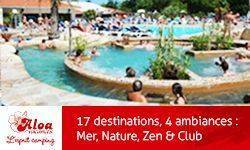 Campsites with recreational facilities (swimming pool, water park, water park, water slides, wading pool, spa, playground, tennis court, multi-sports), entertainment and services (restaurant, bar, food, WiFi access, disabled access, camper services) to make the best of holidays throughout Pays de la Loire. 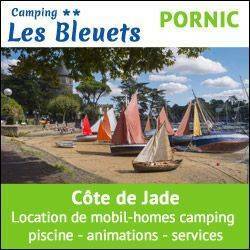 Traditional camping in Pays de la Loire on pitches or rental of mobile home camping, campsites below offer the best camping in Pays de la Loire. Enjoy the outdoor accommodation and campsites in Pays de la Loire! Rental of mobile homes, chalets, bungalows, cottages, Bengali, cottages, trailers, caravans, tipis and camping sites equipped for your holidays in Pays de la Loire, our French campgrounds welcome you everywhere in Pays de la Loire, a favorite camping in Europe. Have a great holiday camping with our campsites in Pays de la Loire! In front of the Atlantic ocean beside a small fishing harbour this 4 star campsite “Domaine du Collet” offers its customers a different and specific quality of sojourn, thanks to its natural area, its situation inside a vast estate and the original landscape in conjunction with sand-hills and the ocean. Planted with holm-oaks and pine-trees, this campsite covers an area of about 10 hectares. Swimming pool – water park with jacuzzi area– mini golf – fitness – tennis – fishing - location of mobil-homes 2/4 and 4/6 persons (from € 200,- upto € 800,-)pitches for tents and caravans. Bruno and Valérie invite you to share and discover the family atmosphere of the camp northward, located in the heart of a leisure. 3-star camping in the Sarthe in Pays-de-Loire, which invites you to stay on a site or rent a mobile home or a bungalow. The on-site snack bar and all the services necessary for a pleasant stay: indoor heated pool (2015), splash pool, table tennis, beach volleyball, mini-farm, playground, mini golf and various activities based. 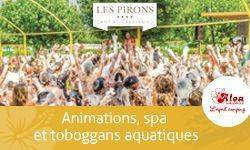 Conveniently located 45 minutes from the famous circuit of Le Mans 24 hours, as close to nature with its gardens, the zoo and hiking Sarthe Valley, camping Septentrion welcomes you for an oxygen stay. 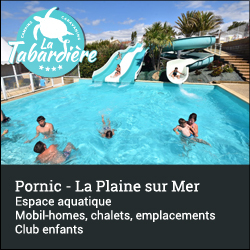 The campsite la Tabardière in Loire Atlantique is a 4 stars campsite in la Plaine Sur Mer at 5Km of Pornic on Jade Coast. We have pitchs or all comfort rental to 2 from 8 people. All the year we have a covered and heated swimming pool with 4 slides, a crazy golf, a multi sport pitch... In July/August a lot of services, a bar, a grocery and a snack. For adults and children, a lot of entertainment,all the afternoon (bouncy castle, sports...) all the evening (dance, karaoke, spectacles...), a kid's club 5days/week is at your disposal free. All the team waiting you!! 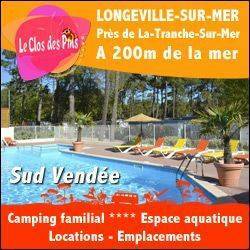 4 star campsite near the seaside in Loire-Atlantique in Saint Michel Chef. Camping La Riviera **** is located only 7 km from Pornic on the Jade coast. It will let you enjoy the marine air of the Atlantic coast and the wilderness. Between the fine sandy beaches and the heart of the city, Camping La Riviera allows you to indulge in the seaside resort of Tharon plage, to discover the secrets of the famous St Michel cakes and to discover the city's rich heritage. The campsite has a heated swimming pool with paddling pool and jacuzzi and various sports fields. We offer you the rental of mobile homes or chalets for your holidays in the Loire-Atlantic, without forgetting traditional camping sites (PROMO: -25% excluding July and August). Opening from 01/04 to 31/10. 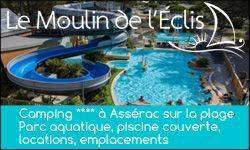 Campsite 4 stars Le Moulin de l'Eclis is located in South Brittany, between Morbihan and Loire Atlantique, in the town of Asserac, near by Penestin. You can rent in recent mobil homes or chalets or a pitch for your tent, caravan or motorhome. Come to enjoy our aquatic park with a covered/discovered part and 2 discovered parts, with 3 waterslides, including one with buoys 62m long. Yelloh! Village la Chênaaie is located in Pornic France. 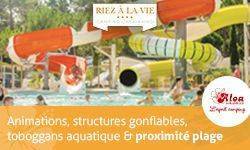 This 4-star campsite located in Loire-Atlantique Pays de la Loire, offers 2 heated indoor pools, 2 outdoor pools olso heated, a waterslide and a water playground. Animations (mini club and adult entertainment) and the restaurant bar are opened from mid April to mid September. At your disposal: a mini farm, two playgrounds for children, trampoline, bouncy castle, multisport court, a beach volleyball court, a football pitch, a "pétanque" ground. There is also a grocery and some bread. You can come to rent: mobile homes, cottages, fully equiped tents. 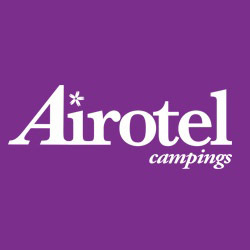 Come and camp with your caravan, motorhome or tent. Ideally located close to the ocean, the center of Pornic, shops and many activities and tours, this campsite is perfect for family holidays. The campsite is a 3 *** family campsite in Loire Atlantique open from March 1st to November 30th and located in Guérande, in southern Brittany, in a wooded setting in the heart of the Regional Park of Brière and the Salt marshes. 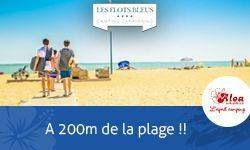 The campsite is located on the shore of the Sandun Pond on the Atlantic coast, not far from the sea a few kilometers from the Cote d'Amour, the wild coast, the seaside resorts of La Baule, Pornichet and the Croisic harbors And the Turballe. 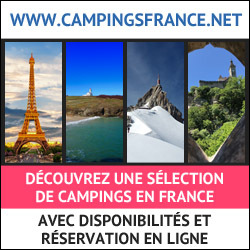 Camping de l'Etang du Pays Blanc offers 120 pitches on a 5 ha park in a green setting. We offer various rentals, mobile homes including one for people with reduced mobility, chalets, caravans, and coco sweet, mini coco, kotas, pod and barrel. The activities take place during the spring, summer and All Saints holidays with pony rides and donkeys. Come also enjoy our small fishing pond as well as our mini farm. Children will be happy to feed our goats, poultry, ponies, pigs, sheep, Bennett wallabies .... Meanwhile, adults will enjoy a drink at the snack bar that will be open during the spring break , Summer and All Saints' Day as well as extended weekends. Our wellness area as well as our indoor heated swimming pool are open from the weekend of Easter until the end of the holidays of All Saints' Day.